Click the esurance logo to the left to see the full article. 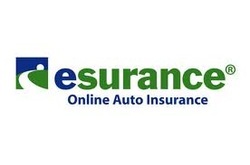 Allstate Corp. (ALL) the largest publicly traded U.S. auto insurer, agreed to buy Esurance and Answer Financial for about $1 billion from White Mountains Insurance Group Ltd. (WTM) to expand sales of coverage through the internet. Chief Executive Officer Thomas Wilson is seeking to add customers through direct channels such as the Internet as younger consumers shun agents. Allstate has lost auto-insurance customers for most of the past three years as online shoppers opt for coverage from smaller rivals Progressive Corp. (PGR) and Berkshire Hathaway Inc. (BRK/A)’s Geico Corp.
- Your Business will be MORE Profitable, making it Worth More AND the value of the Domain name will Appreciate. Now is your chance to keep this opportunity away from your competitor. FOREVER!